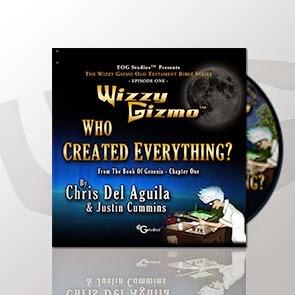 I was given a copy of 'Who Created Everything?' Audio CD. This is Episode 1 in the Wizzy Gizmo Old Testament Bible Series. This Audio Drama is a great Bible study tool. We listened to it in the car on our various trips around town. I had also planned on using it as a bedtime Bible story if we hadn't finished it during our car rides. It is available in CD and Digital Format or just in Digital format. My older car does not have a Mp3 jack so the CD was a great thing to have. Even though my youngest is at the end of the target ages - 4 to 12 - all three boys enjoyed the story and the engaging characters. They have studied Genesis 1 several times but this was a fresh fun look at it. I recently completed a college course on the Old Testament and enjoyed the story myself. Youngest thought Wizzy Gizmo was a lot like Doc Brown in 'Back to the Future' and liked Qwacky the best. He also wants his own Gizmovision. Knowing that he has an engineer mind, he just might do that very thing! In 'Who Created Everything? ', we first meet Eli, who is new in town and is not looking forward to being the new kid at the beginning of summer. That is until he meets Olive in the park and the rest of the gang comes to tell them the exciting news - Wizzy Gizmo has finished his invention. They all rush to go and have a look. Here we meet Qwacky - the robot duck - and Pepe - the dog who likes to read. Wizzy explains he has finished the Gizmovision and decides to show them how it works. He choses the beginning - from the Bible - and the machine which can take them to the place inside of any book - takes them to the very beginning of time. The creation is a literal six day creation in the story and they are frightened by the darkness and then relived when God creates the light. During the trip through the six days, we find another of Wizzy's inventions - the Gizmoblaster vehicle which can travel in space and underwater. As a parent, I really liked the approach of helping the listener/reader get a clear picture of what it must have looked like during the days of Creation. In particular I liked the way the question Eli asks - why God said - 'Let us create man in our image....' - is answered with a simple explanation of the Trinity. It is a difficult concept for an adult but the way Wizzy explains it to Eli made it clear for my boys. This is a well done, engaging series of Bible stories for children and I highly recommend the products. The second book in the series - 'In His Image' - continues the adventure through Genesis Chapter 2. It is only in book form at this time for $12.99. Other products include a Fast Track Bible Pack - a 24 card set to aid in the study of the New Testament ($14.99) and in the works is a 52 week devotional. All orders $25.00 and over qualify for free shipping. Wizzy Gizmo can be found all over social media - Facebook - Twitter - Google Plus - Pinterest - Vimeo - for more information. 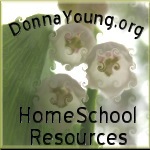 Be sure to sign up for their newsletter to get updated information on new products. Not everyone on the team reviewed the same item - to hear more about Wizzy Gizmo products the rest of the team tried click here. By the end of December - when we took our Christmas break and I finished up the last of my reviews for Mosaic Reviews - I knew we needed a change. I needed a change. I felt we were spinning our wheels and getting nowhere fast. 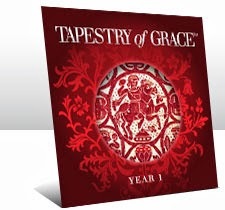 A couple of years ago I bought Tapestry of Grace Year 1 Unit 1 after looking the 3 week DE sample. I entered the 'TOG Fog' and never emerged. The boys didn't really seem interested in that era and I could not let go of trying to do every. single. thing. on. the list. Now bear in mind this curriculum reminds you that no one can do every single thing on the list and you should not attempt to do so. It does this a lot. I put it aside and sighed heavily, thinking my kids would never get the Classical Biblical education I wanted for them. Then I read TOG was finished tweaking the curriculum (for the most part) and was now starting to train support staff. Since my reviewing days had come to a halt I went to check it out. Suddenly the TOG fog lifted and I saw how to make it work for us. I started Advisor training at Tapestry University and even if I don't wind up going past Advisor the training has given me a deeper understanding and appreciation for this curriculum. This is it for my younger two. We are home. We started with Egypt last week and are into our second week and loving it. Well, two of them do. Oldest was working very hard but I just could not really make TOG work for him - not at Year One - and I'm not comfortable doing two different years of TOG with two kids. 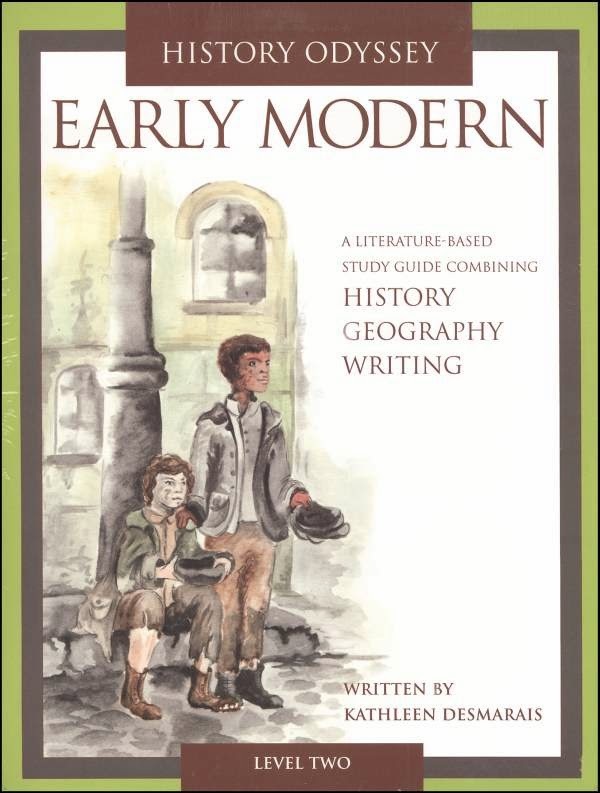 I happened upon Pandia Press' History Odyssey Early Modern Level 2 and Modern Level 2 at the local resale shop. I ordered Kingfisher - thinking you can never have enough reference books and something about it clicked with Oldest - even though it's not on Learning Ally (an invaluable resource if you have a dyslexic child that is an auditory learner!). IEW finally clicked with him as well so I see lots of KWO and summaries in our future. The time period interests him. Yes, it's secular but I'm adding in Bible and pre reading as well. He's also my most grounded child and very nearly a man so I don't worry much about him. It's a good curriculum and can be beefed up if need be. Today I got a new God wrinkle, someone gifted me the Classic TOG - Years 1, 3 and 4. I've been reading it and gaining an even greater appreciation for Tapestry of Grace - how Lampstand Press has refined it and I just love it more than even. I'm hoping to dovetail Oldest back to Tapestry when the time periods line up again. Perhaps I'll luck up and find Classic TOG year 2 used too! We are still using Teaching Textbooks, Life of Fred, IEW SWI and Fix It Grammar and we've added Sequential Spelling. The boys really like the DVD and the program. I've also been exercising regularly and Jerry and are taking a walk every evening. We plan to do at least a mile a night and keep adding on a quarter mile every day. I've been pretty quiet because I've been busy planning and training. I hope to update more regularly and soon. This Friday is Youngest 12th birthday and I made him a special cake. Til then I am THANKFUL! Last year was the first year I focused on One Word. 2013 was the year of Faith and I got plenty of opportunities to exercise that faith that God will always provide in every circumstance. My husband was laid off from his job - he'd been with the same company with nine years and at that same time was scheduled for knee surgery. God provided - the surgery was covered with the severance package through a month's worth of paid benefits. God also provided the money for us to keep him on Cobra until we could see about the insurance for his new job. Because the company was smaller the insurance was more than we could afford and I was having no luck on the healthcare exchange website. It appeared we were not eligible for a subsidy because his employer offered insurance - even if we couldn't afford it. We were not eligible for Medicaid. I thought we were stuck and would be entering the year uninsured. A friend referred me to a wonderful insurance agent who helped me navigate and get us health care at a very affordable cost. My brother moved to a new town and he did it all by himself. He also - thanks to our agent - will have health insurance for the first time in many years. I distanced myself from just about everyone I knew - including our church and our new Pastor. I distanced myself from God. But God did not stop having faith in me and made sure I got His messages - in unlikely places - two funeral sermons that involved people dearly loved who died young. I was moved to apologize to the Pastor and I've not been back to church as much as I would like due to chronic health issues but I'm hearing God there again. I had times of fear and doubt in 2013, despite me wanting it to be a year where my Faith was strong and unwavering. But as usual, the joke was on me. It wasn't about me having unwavering Faith in God - it was God telling me He had unwavering Faith that I was His and I would make my way back. He put Thankful in my head early in November. I'm quite the pessimist and I don't look at my blessings as much as I should. So every day for this year I will take time to be thankful for a blessing God has given me. 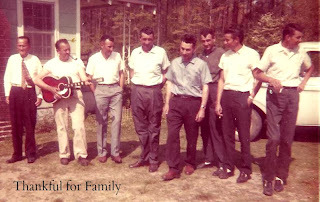 This week - I am thankful for family. This is a picture of my Daddy - he's the youngest boy there on the end in front of the truck (A Ford - no doubt) - and his brothers and his Daddy. There were thirteen of them that lived to adulthood and seven were boys. These are my people. My roots. And I love them dearly.